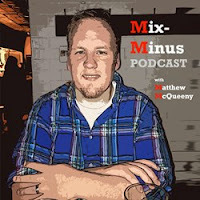 Matt talks to old friend Andrew Pangert about video gaming after the release of the newest "Call of Duty" game and "MexiCoke", the special mexican variety of Coca-Cola (get your mind out of the gutter!). Andrew has been an intense gamer from the time he was a youngster and gives perspective on the subject. The episode closes with a passionate conversation about podcasting and media.